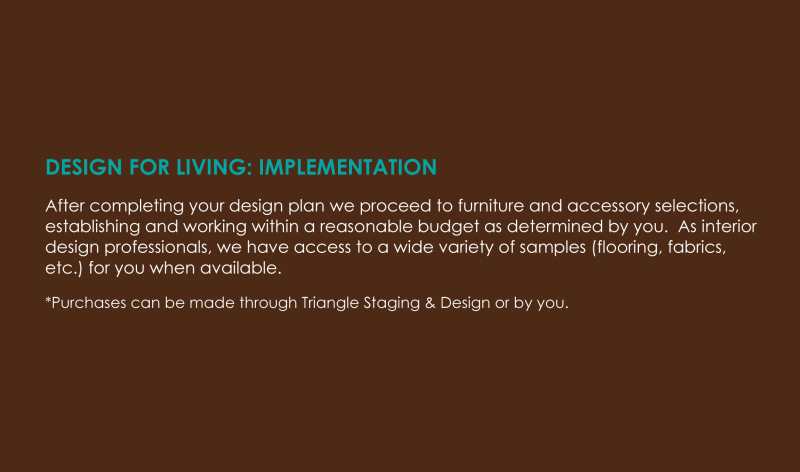 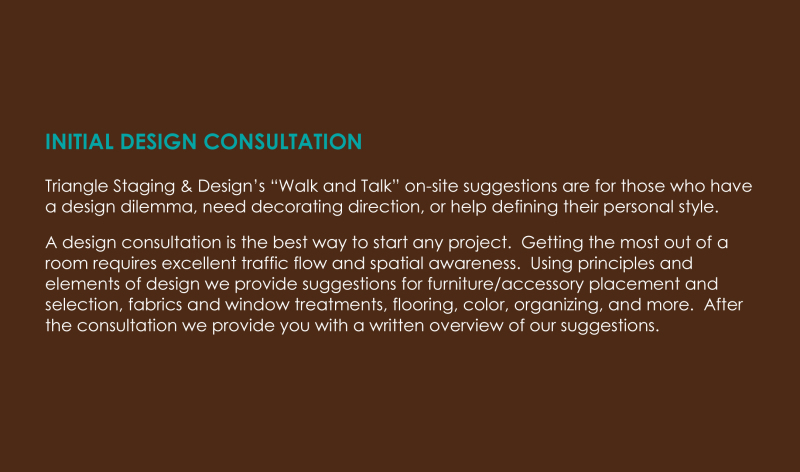 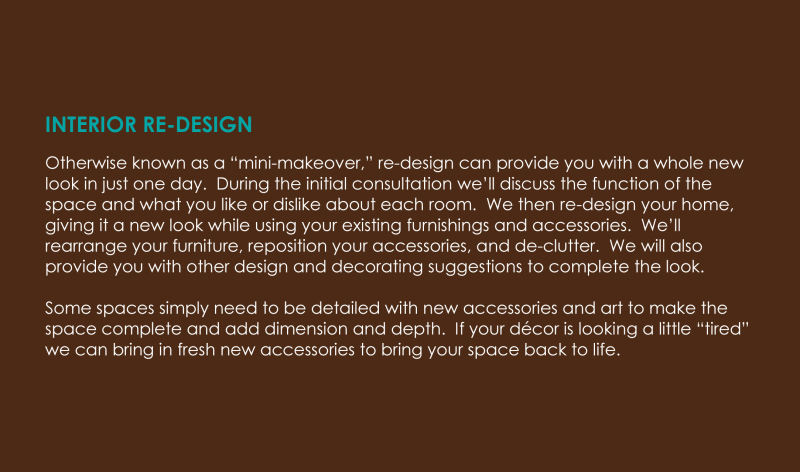 We are a full service interior design firm providing creative, practical, and functional solutions for all your design and decorating needs. 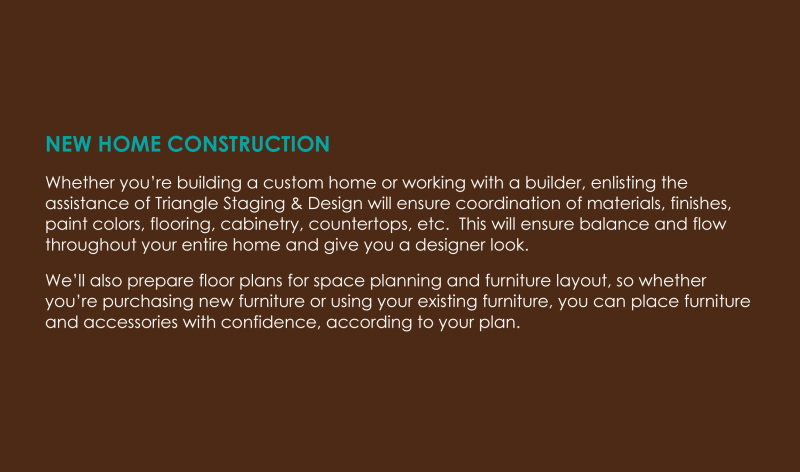 Space planning, furniture arrangement, color, and fabric coordination; these elements, when combined properly, create cohesiveness and personality within each space. 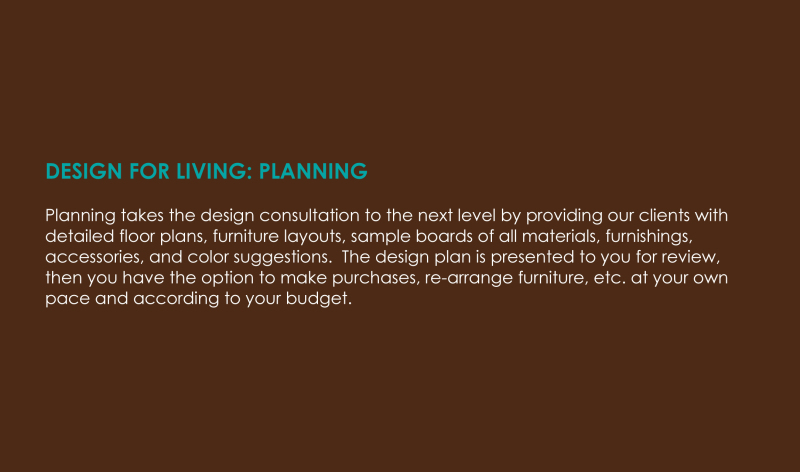 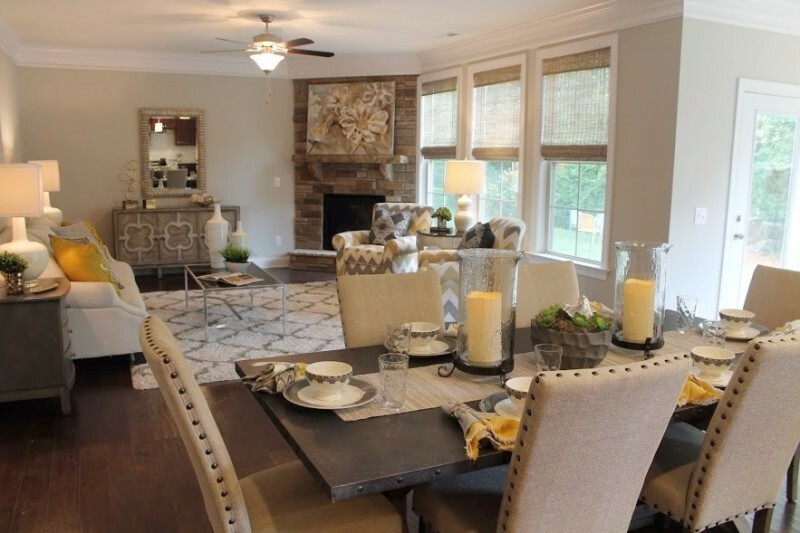 Whether you are building a new home, remodeling, or updating a single room, we can provide guidance to ensure the end result is timeless, reflects your style, and adds value to your investment.